With the debut of the 2018 Volkswagen Tiguan at the recent Detroit Auto Show, the best have just gotten better. Based on Volkswagen Modular Transverse Matrix (MQB) architecture, the redesigned Volkswagen Tiguan will add available third-row seating, increased cargo space, available 4Motion® all-wheel drive and a smorgasbord of innovative technology to its arsenal. Delve deeper into the rejuvenated Volkswagen Tiguan with this overview of the 2018 Volkswagen Tiguan release date and specs at Owens Murphy Volkswagen. 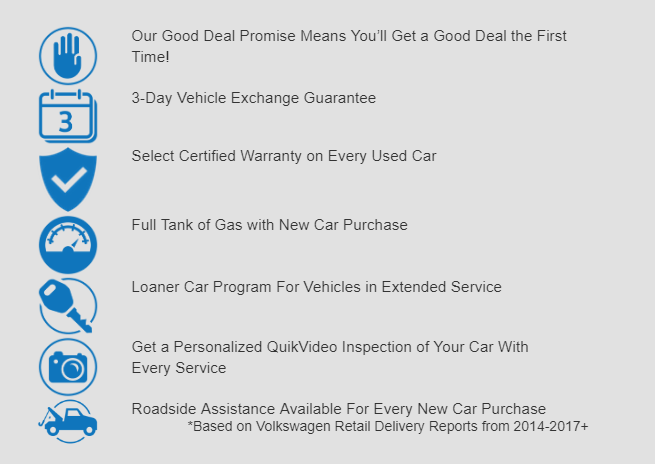 When Will the 2018 Volkswagen Tiguan Be Available in Little Rock AR? Expected to arrive at dealership late in 2017, the reinvented 2018 Volkswagen Tiguan is tailor-made for Little Rock families on the go. Built on a longer wheelbase, the VW Tiguan will make room for more passengers and more cargo in a versatile interior. Available with a vast array of advanced safety features and next-generation technology, the future Volkswagen Tiguan will take your family adventures to another level. What sets the latest rendition of the Volkswagen apart from its predecessor? 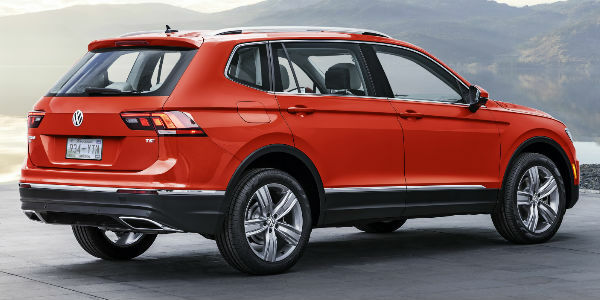 Built on a next-generation foundation, the 2018 Volkswagen Tiguan adds 10.7 inches of length at 185.2 inches long and features a 109.9-inch wheelbase. All of these elements and dimensions contribute to 57% more cargo space and translate to available third-row seats. Front-wheel drive models will come standard with a third row that will be optional on all-wheel drive variants. A spacious, versatile interior is highlighted by flexible seating and a second row that can slide up to seven inches. Under the hood, the 2018 Volkswagen Tiguan will play host to an upgraded 2.0-liter turbocharged four-cylinder TSI® engine with direct fuel injection. Married to an eight-speed automatic transmission, the Volkswagen Tiguan will manufacture 184 horsepower and 221 pound-feet of torque that is sent to the front wheels. Drivers who desire a more athletic drive can opt for Volkswagen 4Motion® all-wheel drive with Active Control that will provide nimble handling with four driver-selectable modes to choose from. When you get behind the wheel of the next-generation Volkswagen Tiguan, you will find yourself surrounded by a host of innovative features. An available Volkswagen Digital Cockpit display will keep you connected no matter where adventure takes you and Volkswagen Car-Net® provides access to Apple CarPlay, Android Auto and MirrorLink. Safety is a priority of the Volkswagen brand and the new Tiguan illustrates that value with available Adaptive Cruise Control, Forward Collision Warning, Blind Spot Monitor and more. Heated front seats, premium leather interior, a heated steering wheel, panoramic sunroof and a foot-activated power liftgate will amplify comfort and convenience. Do you and your family enjoy adventures, road trips or summer vacations? Do you need a new crossover that will check all the boxes, from passenger space to technology? Look no further than the rejuvenated 2018 Volkswagen Tiguan. Due to arrive at dealerships late in 2017, this overview of the 2018 Volkswagen Tiguan release date and specs will paint a picture of what the next-generation Volkswagen brings to the table. Keep an eye on the Owens Murphy Volkswagen inventory for the arrival of the 2018 Volkswagen Tiguan.